It isn’t every day that a player moves for £85.3m. In fact, it’s only one – September 1 2013 – when Gareth Bale joined Real Madrid, so it is no surprise that bwin have marked the moment with a smorgasbord of specials. After analysing when the Welsh winger’s first goal is likely to arrive, his prospects of scoring in a Clasico and whether his switch will yield a Champions League and Ballon d’Or, focus shifts to the Madrid derby. bwin set the bar at a seemingly generous height of 5/4 for Bale to net in either 2013/14 La Liga meeting with Atletico Madrid, who have conceded at least two in each of their past eight league collisions with their neighbours. 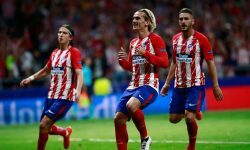 The beauty of this bet is that you may not have to wait long for the payout, as the capital clubs’ first clash occurs later in September at the Bernabeu. The Vicente Calderon return is scribbled in for early March. Bale was immune to the pressure associated with regional hostility last season, striking five times in London derbies. He chipped in with a further four against fellow southerners Swansea, Reading and Southampton. It is the 24-year-old’s statistics against Tottenham’s least warmly greeted opponents Arsenal that should inspire backers most though. The reigning PFA player of the year bagged in both 2012/13 north London derbies, contributing the opener in the White Hart Lane showdown. He notched five times in nine league starts against them in total, each one in separate encounters. Sticking it to Atletico has been a favoured pastime of Real Madrid’s other £80m-plus recruit Cristiano Ronaldo. The man that Bale labelled “the boss” has fired nine goals past Diego Simeone’s side since his 2009 transfer. That will be another trait that the former Spurs hero will attempt to adopt from his idol.